If you enjoy working with computers and figuring out how things work, a career in Computer Information Systems is for you. Computer Information Systems is a growing field that allows graduates to work with companies' IT systems, analyze issues within the systems, and ensure all systems are kept up to date and working well. While working towards this degree, students will take classes in computer science, numerical analysis, software and hardware, and robotics. These classes will equip students with strong computer skills and teach them to perform such tasks as developing software for a certain task or programming a robot. 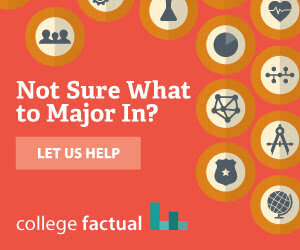 Although you may choose to major in the broad field of Computer Information Systems, some students prefer to specialize in certain areas. Some available areas of specialization include Artificial Intelligence, Information Technology, and Informatics. Students who major in Computer Information Systems often have a strong background in computers and an understanding of software. Other necessary skills include mathematical and analytical skills, organizational, and communication skills. Professionals within this field must solve problems within information systems, so they must have the ability to analyze problems and efficiently create solutions. Professionals within the Computer Information Systems field work full time in an office setting. However, a large percentage of professionals state they usually work over 50 hours a week. Since much of the business world is managed through computers, professionals must be available to solve problems and create more efficient programs. Although internships are not necessary, they may be beneficial because they will give students hands-on experience working with computers and fixing problem within systems. This experience will make students more efficient once they enter the work force. Graduates with a degree in Computer Information Systems often pursue careers in business, management, computer support, or computer systems analysis. Since computers are a huge part of business, a degree in Computer Information Systems will lead to many job opportunities. The skills you acquire while working towards this degree will be beneficial to employers making you an ideal candidate. Graduates should find many job openings after graduation. This career is growing at an average pace since many companies are working towards upgrading and improving their IT systems. Computer Information Systems graduates can expect an average starting salary of $49,100 and an average mid-career salary of $85,965. Here is a small sample of the careers that a degree in Computer Information Systems might open up.